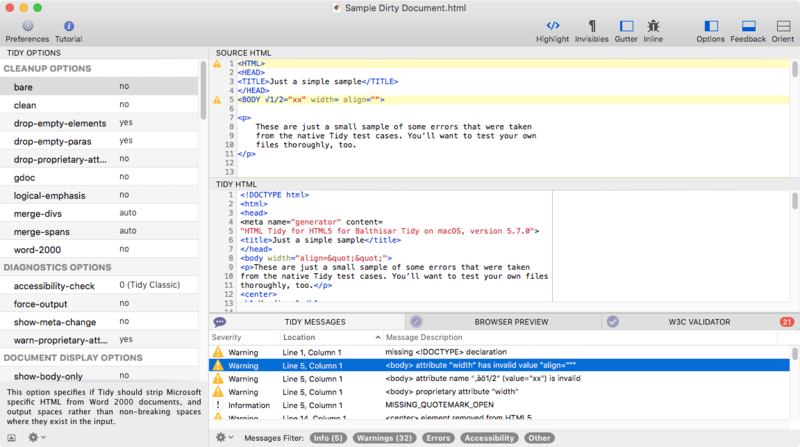 The main screen options you set take effect immediately on the “Source HTML,” as shown in the “Tidy HTML.” The “Tidy Messages” indicate errors in the original code, as well as any corrections that have been made for you. 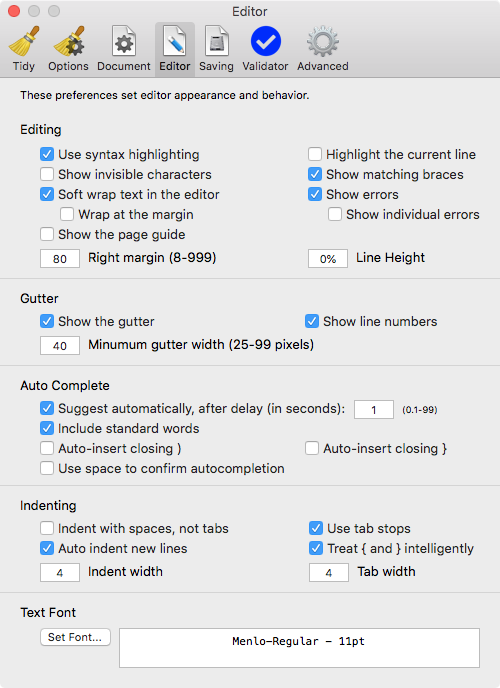 The Preferences window provides a central location to set preferences for the customization of Balthisar Tidy. 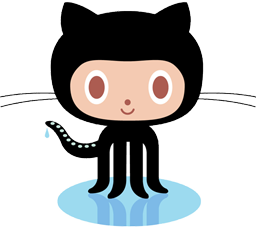 Shown here are the preferences for the App Store version. 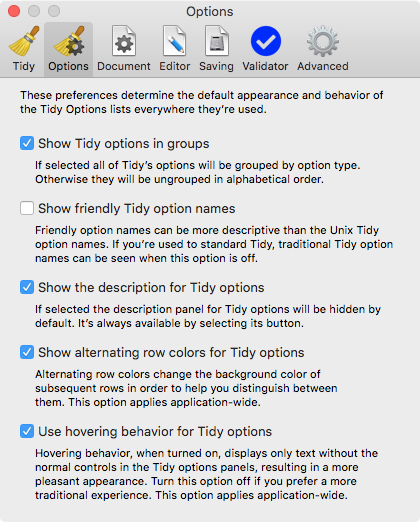 You can configure the appearance and behavior of the Tidy Options panel with this pane. 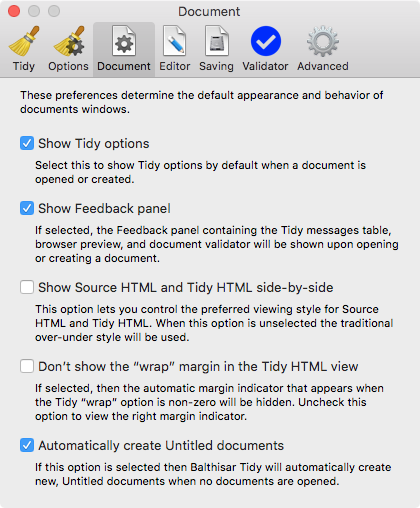 Document interaction preferences are simple to change with this pane. 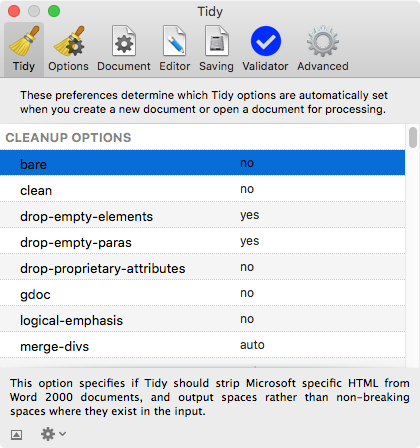 Balthisar Tidy has robust controls for your editing experience, as well. 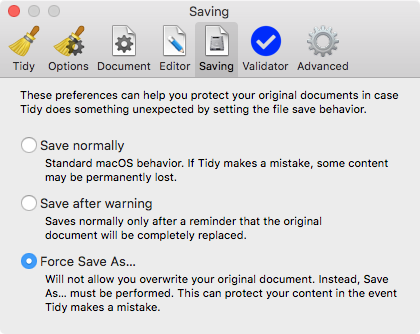 Prevent possible, unintended data loss by controlling how your documents are saved. 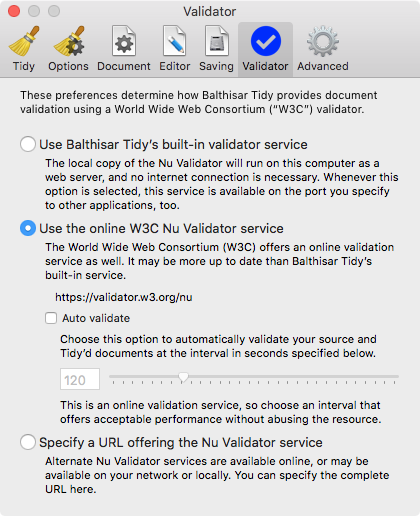 Validator options give you access to web services, and even allow you to run a built-in validator service. 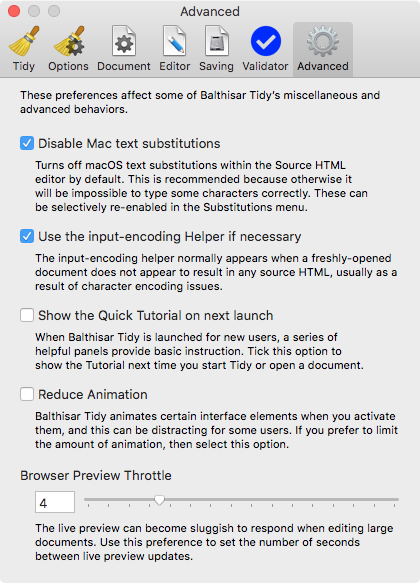 Advanced Preferences give you control over more macOS and Balthisar Tidy behaviors.